That comment is one of the few Foote comments in the series with which I agree. American exceptionalism is a major theme of Civil War memory. Another PC swipe at American Exceptionalism. Looking at his quote, am I wrong in thinking that saying “if we'd been anything like as superior as we think we are, we would not have fought that war” as saying that it wasn't necessary to fight it even to end the scourge of slavery? As to the claim that it was a PC swipe at American exceptionalism, for God sake the man praised Nathan Bedford Forrest on the program. Foote was not PC. How senseless. Good point. In light of his other statements in the series, maybe I gave Foote too much credit by focusing on the latter part of his statement. I thought it would be obvious that my tongue was firmly planted in my cheek when I made that comment. I momentarily forgot that there are people out there, some of them writing “history” blogs, that say such things in all seriousness. Allow me to apologize for failing to realize your comment was not meant to be taken seriously. After I wrote my comment, I started to wonder if that wasn't the case. Hopefully no harm, no foul! Thanks for the link. That was hilarious. I agree with Foote on this one. I am not sure I have ever set down and watched all of the Burns/Foote series on “The Civil War”. I did see some parts and that inspired me to learn more about the War. I read all three volumes of Foote’s Narrative. As I recall, he did not paint himself as anything more than a novelist. I could easily be mistaken about that as I did not pay that close attention to all of it. My impression was that Foote’s interest in Nathan Bedford Forrest was as a General and a Tactician. Bedford’s cavalry captured my great-great grandfather and most of his company. His raid on the M&O was, from a military point of view, an immense success. That does not make him a good man, simply either a good general or very lucky. I agree with Foote’s appraisal of the “American” ego. I have never thought of him as a conservative in any sense of the word. From my limited point of view I thought he was fairly liberal in his political views. 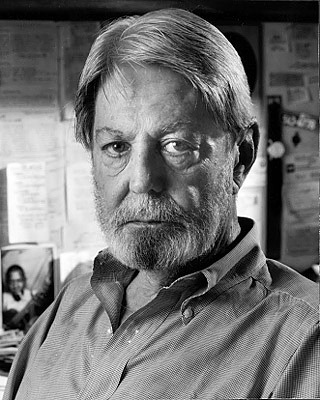 Another quote that I have heard attributed to Shelby Foote: “I love to see a computer — flying out a window.” I don’t know if the person who told me that story was being totally honest, but it does sound like the kind of thing Foote would say. Regarding Rob’s statement: I would not assume that Foote meant that we would have allowed slavery to continue. I take him to be saying that if we were really superior we sould have figured out a better way to end slavery. I do not see that as implying that it would have “just died on its own”, but that if we were really superior, we would have found a way.